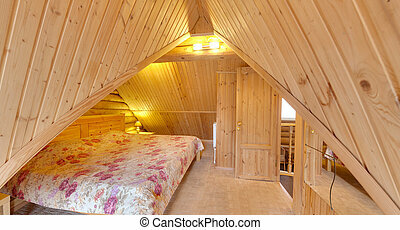 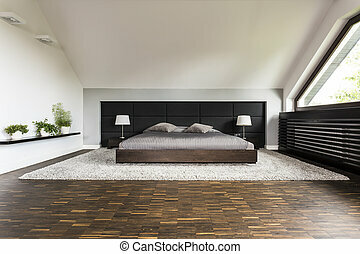 Modern bedroom with big grey bed in middle. 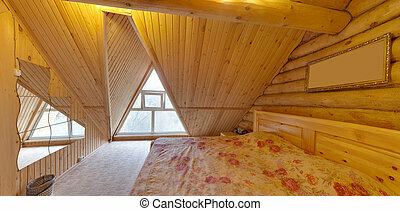 All you need. 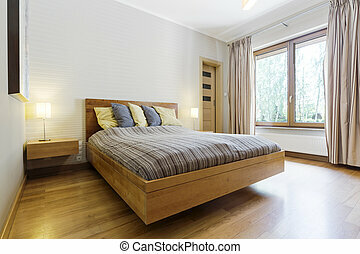 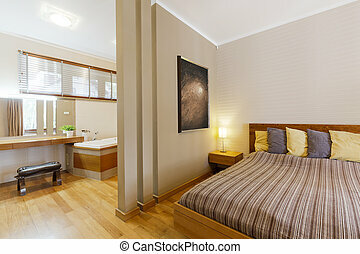 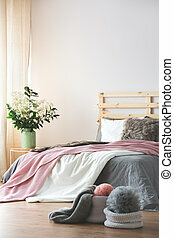 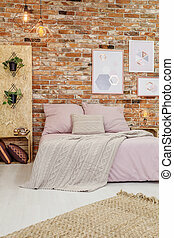 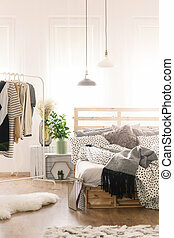 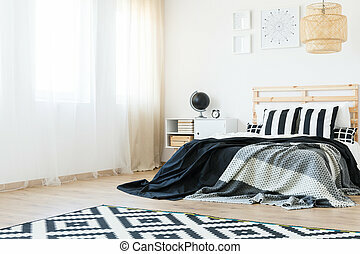 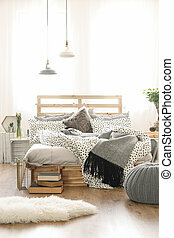 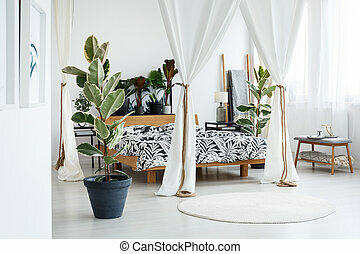 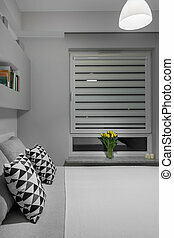 modern bedroom with big grey bed at on background of white brick wall, above is shelf and next to wicker bedside table. 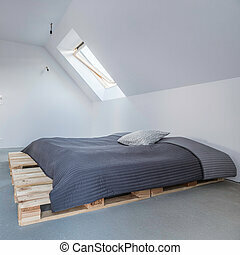 All you need. 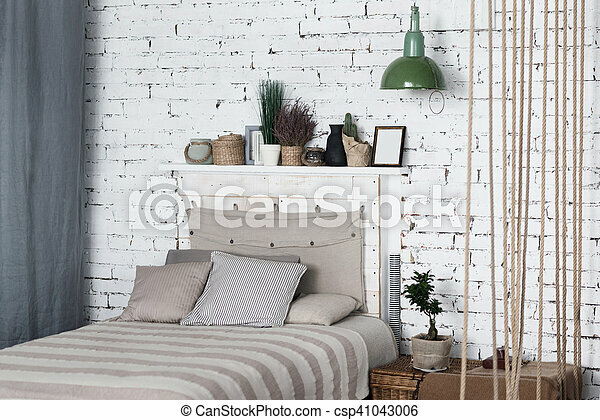 Modern bedroom with big grey bed at on background of white brick wall, above is shelf and next to wicker bedside table.